This beautiful acrylic award comes complete with a laser engraved U.S. flag on the side. This patriotic acrylic award provides plenty of room for custom laser engraving, color printing or both! Available in your choice of blue, red, green, gold or purple reflective bottoms. This uniquely shaped acrylic award gives the opportunity to get creative with placement of text that utilize its three surface areas and smooth curves. Available in your choice of blue, red, green, gold or purple reflective bottoms. 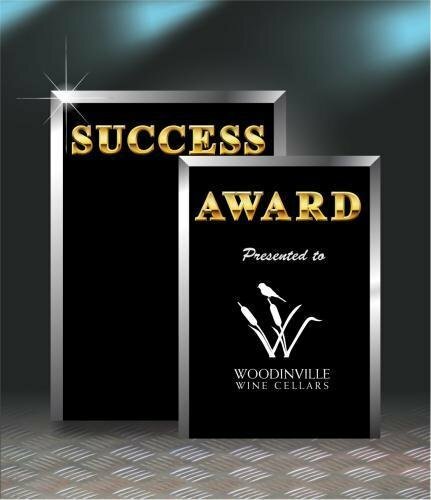 This acrylic award is hand crafted from acrylic and features a rectangular design, with one side fluted. Available in your choice of blue, red, green, gold or purple reflective bottoms. 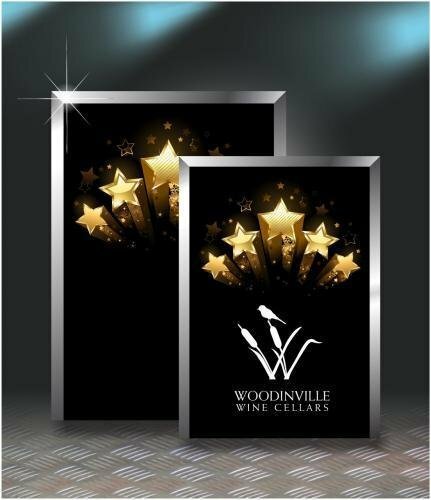 These easily engraved acrylic award sandwich frames can stand vertically or horizontally and support placing a photo or other object in between the two acrylic magnetic pieces! Three sizes are available. Our beautifully hand crafted acrylic award square paper weights feature a painted slanted cut corner that produces an awesome effect when stood on end! Available in your choice of blue, red, green, or purple metallic painted sides! Pearl edge plaque with your choice of pearl front. Free standing plaques with pearl edge available in 2 different sizes and is available in 6 different colors white, blue, green, gold, silver and red. 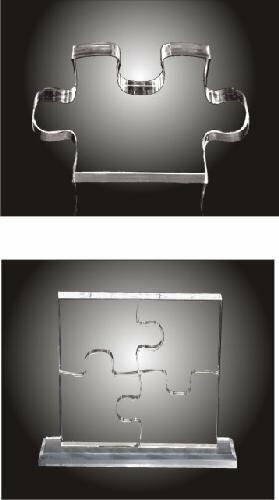 Acralaser puzzle pieces are perfect for an on going award. We have created 9 different pieces that will allow you to make from a 2 piece puzzle up to hundreds. Acraprint plaque with your choice of one line of copy on the top. Laser through black back. Free standing or can be made to hang on wall with backing or hanger. This award is available in 3 different sizes.